When ordering a cup or bowl of soup from Panera Bread most people would prefer to have a roll or chunk of baguette accompanying their meal. But a Florida woman says her soup came with something extra on a recent lunch trip to the restaurant: a razor blade. The woman says the sharp ordeal began after she went to a local Panera to pick up lunch for herself and a co-worker, Local 10 News reports. Once back to work, the woman began eating her lemon orzo soup, only to find her spoon caught on something. “I start eating the soup and then I hear this sound and the spoon is not moving, so I happen to look down and I see something shiny,” she said. That something shiny happened to be a small razor blade, the customer claims. The woman tells Local 10 News that she was so scared that she may have swallowed another blade, that she went to a doctor where she underwent blood work and received a tetanus shot. The woman then took the soup and its extra ingredient back to the Panera restaurant. The company apologized for the situation, issued her a refund and offered to pay her medical bills. 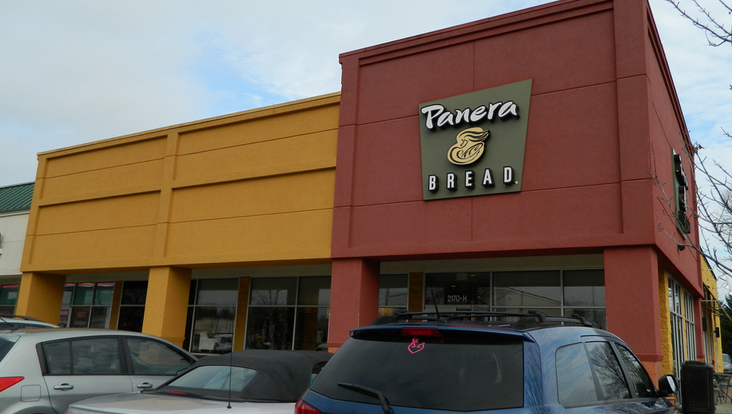 In a statement to Local 10 News Panera said it had opened an internal investigation into the incident. “Earlier this week, a guest in one of our South Florida bakery-cafes reported finding a foreign object in her soup. We immediately responded and began an investigation to determine its source. The investigation is still in progress and we remain in close consultation with the guest and associates at the bakery-cafe. As always, the health and safety of our guests is of utmost importance.